A genuine John Deere #TY16330 Steering Wheel Spinner Knob. 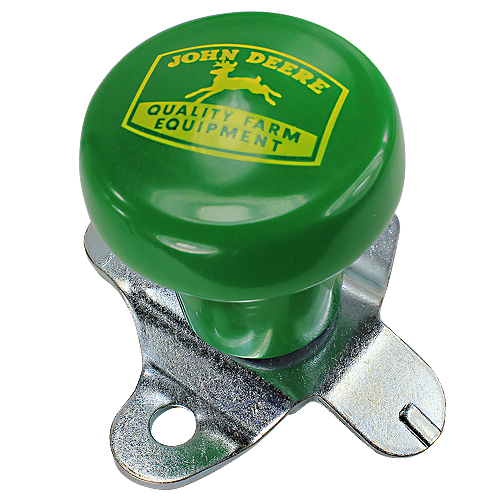 This all green knob has the classic gold John Deere "Quality Farm Equipment" logo imprinted on top. Includes attachment hardware to adapt to many different model John Deere steering wheels. Original Equipment (OEM) part.